Arsenal turned down an opportunity to sign Virgil van Dijk when the centre-back was worth just £12m. That’s according to Celtic assistant manager John Collins. 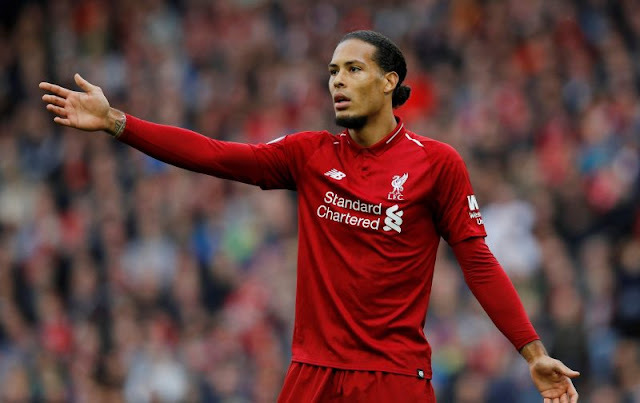 Van Dijk has been a rock at the back for Liverpool this season as his side sit top of the Premier League. The Dutchman first first arrived in England by joining Southampton from Celtic. However, according to Collins, Arsenal scouts were already on his case before that. At the time, they decided against signing the defender. “Arsenal’s chief scout thought he was a little bit too nonchalant,” Collins said . “Maybe that was part of his game but he ticks so many other boxes; pace, power, balance, distribution, good in the air. He is a quality player. “He would have cost £12million. The worry was that he was showing the quality against Scottish players and the question was whether he could do it against top quality English defenders. Sokratis Papastathopolous was Unai Emery’s only centre-half recruit this summer. The Greek international had played every minute until limping off in the first-half against Everton last Sunday. The Gunners have conceded eight so far this season, but did pick up their first clean sheet against the Toffees. Gooners, do Arsenal need to go out and get another centre-back in January?